Ten swimmers earned the maximum of seven first-team honors. They included California's Andrew Seliskar (also named CSCAA Men's Division I Swimmer-of-the-Year), Ryan Hoffer, Abbey Weitzeil, Amy Bilquist and Katie McLaughlin. Other swimmers who went seven for seven included Indiana's Zach Apple, NC State's Coleman Stewart, and Louisville's Mallory Comerford. Wisconsin's Beata Nelson was selected as women's Division I Swimmer-of-the-Year while California's Teri McKeever and David Durden were named Coach-of-the-Year for women and men respectively. Colin Zeng of Tennessee was named men's Diver-of-the-Year for the second straight season while Texas' Matt Scoggin was named men's Diving Coach-of-the-Year. 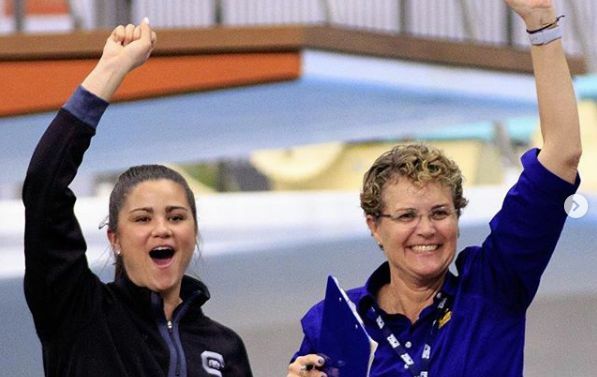 UCLA swept the women's diving honors with Maria Polyakova earning women's Diver-of-the-Year and Tom Stebbins named women's diving Coach-of-the-Year. All-Americans are were selected on the basis of their finish at the 2018 NCAA Division I, II and III Championships and membership with the CSCAA. The top eight individuals and relays in each event earned First-Team recognition while individuals and relays finishing 9-16th are named Honorable Mention (or 2nd Team) All-American. Teams must be a current CSCAA member to be eligible.